The brief was to design a home for a professional couple. 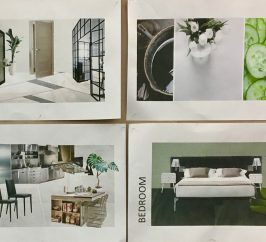 The site is a residential semi-industrial loft space and the students have all produced brilliant schemes ranging from uber-minimal to the most lavish luxury (we don’t impose a budget so their ideas can run free!). 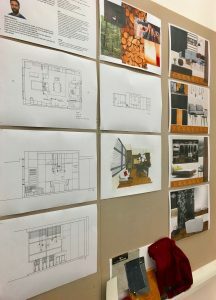 Its their first chance to put into practice all the skills they’ve learnt in these first weeks of the Diploma course – the first time they’ve experienced the full design process up to client presentation. We featured in our last blog one of the key tutors working on this project, Lucy Clark. She is just one of our community of designers who work with us, giving so much back to the students. 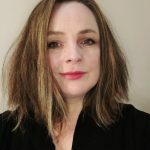 At the end of each project we also invite in a practising designer to critique the student’s work, and for this project we have Meriel Scott, Founder and Director of Precious McBane. 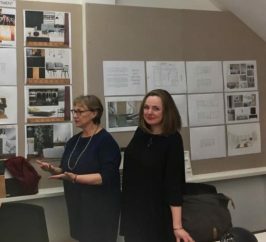 Meriel is a great patron of The Interior Design School and has taken our graduates for many years to give them their first experience working in a commercial design studio. Her tutelage has given several of our alumni the confidence to go on to great things: Yoko Takano is now one of the key members of the Precious McBane studio team, Jessica Gething, a student from several years ago now practising very successfully in New York, and Dani Salamon who is now an Associate Director at MoreySmith are just a few. Meriel’s background is in fine art. This gives her the most amazing sensibility for combining art and found pieces, texture and colour. Her partner, Victoria Wimpenny, has an eye for detail and construction having a cabinet making background – the perfect compliment to the flamboyance of Meriel! 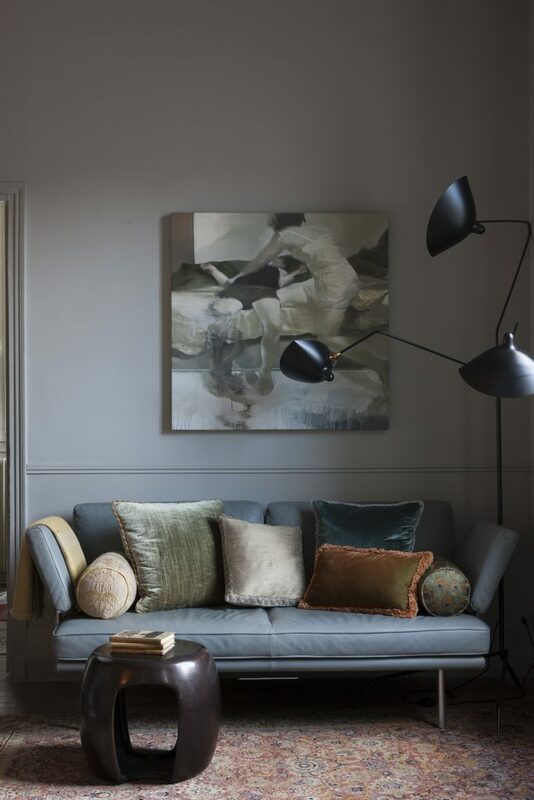 Precious McBane was established in 1993 and are known for bespoke furniture and soft furnishings, and collaborations with artists to create unique residential interiors. The studio handles both domestic and commercial projects, and they consult for architects on colour and furnishings. They’ve completed several hotel interiors and have won awards for The Zetter in London. So where can residential design lead? 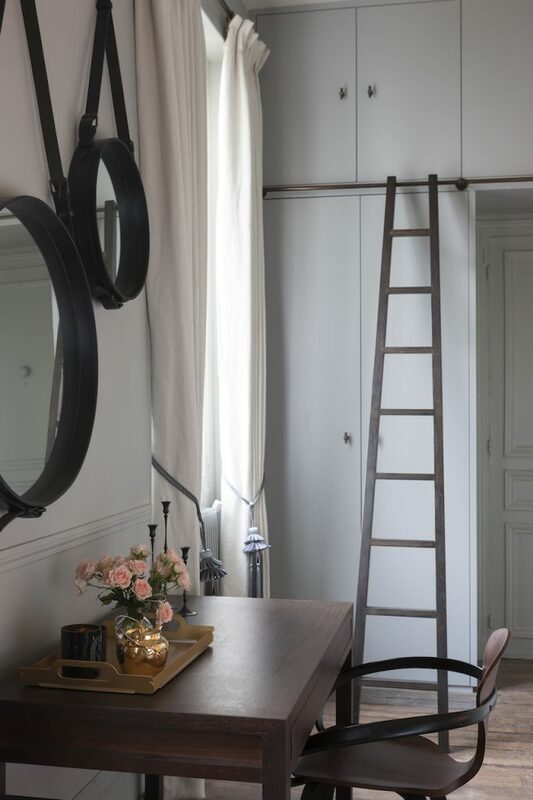 We tend to think of it as home design, from luxury living to just making our own homes what we want, or getting the most out of a small space. But is that it? The cost of property, both renting and buying, is creating new expectations and ways of living – for students, for co-living, accommodation for the older population and care homes. All these interiors are about ‘living’ and this is why many residential designers are working in these new specialisms. Thinking more about hospitality design? This week is Sleep and Eat at Olympia – always worth a visit. And do you follow Eporta? 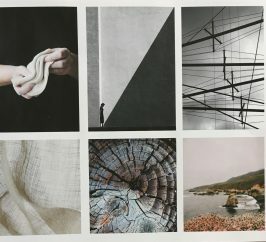 They are questioning how residential designers can cross this ‘line’ between residential and hospitality interiors and have an excellent article that showcases three interior designers who have made the shift. 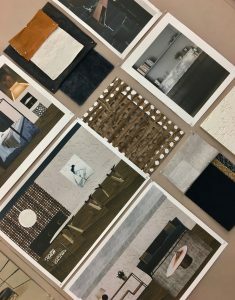 So even though our students will carry on and do two or three commercial projects, having completed this residential project will stand them in good stead for a wide range of ‘living’ projects. They take the main bathroom from this loft project and work it up to a package of detailed design information for costing and construction – schedules of ff+e, specification, 1:20 plans and sections and details. Watch this space….. 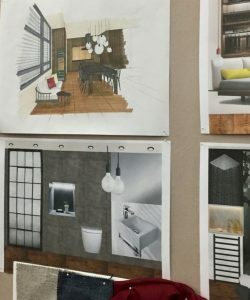 Interested in interior design as a career or to design your own home, then why not try an inspiration day. Or ask a loved one to give you a gift certificate for Christmas! 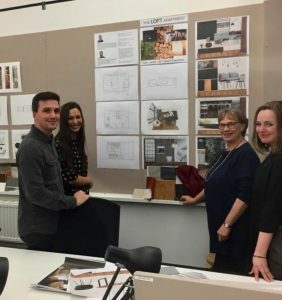 ‘Attending the crits for the certificate was a real eye opener, it was great to see vibrant creativity fused with an early understanding of the day-to-day practicalities of the interior design role.